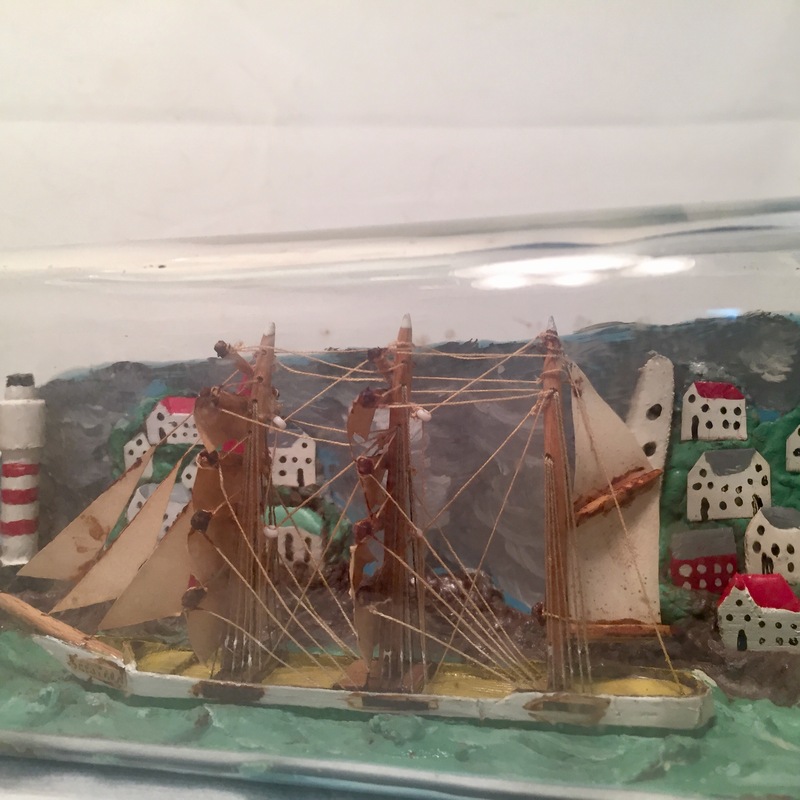 Very Old Diorama purchased from a antique store in Ireland. 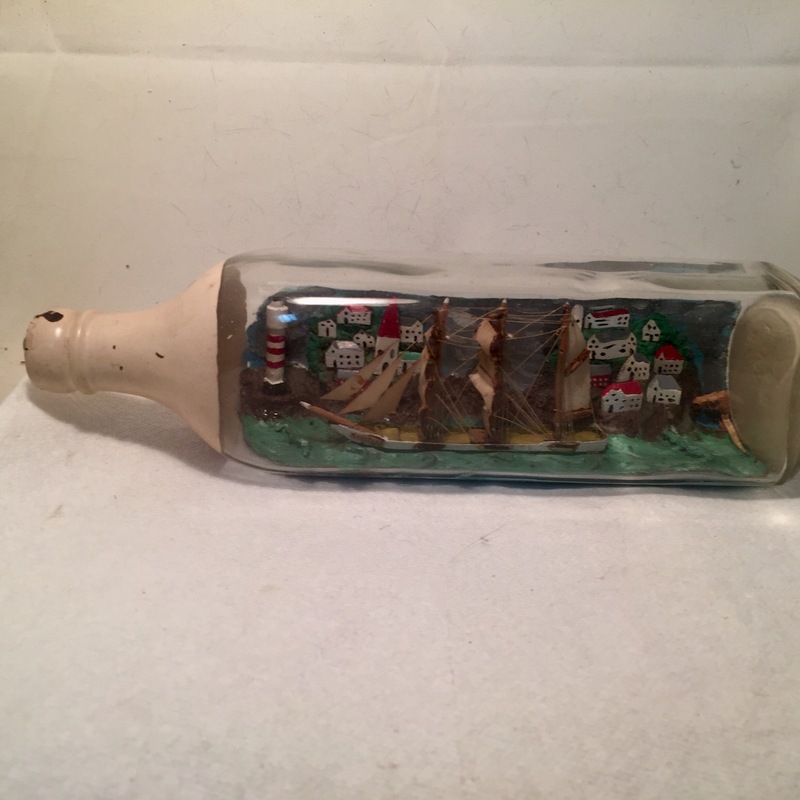 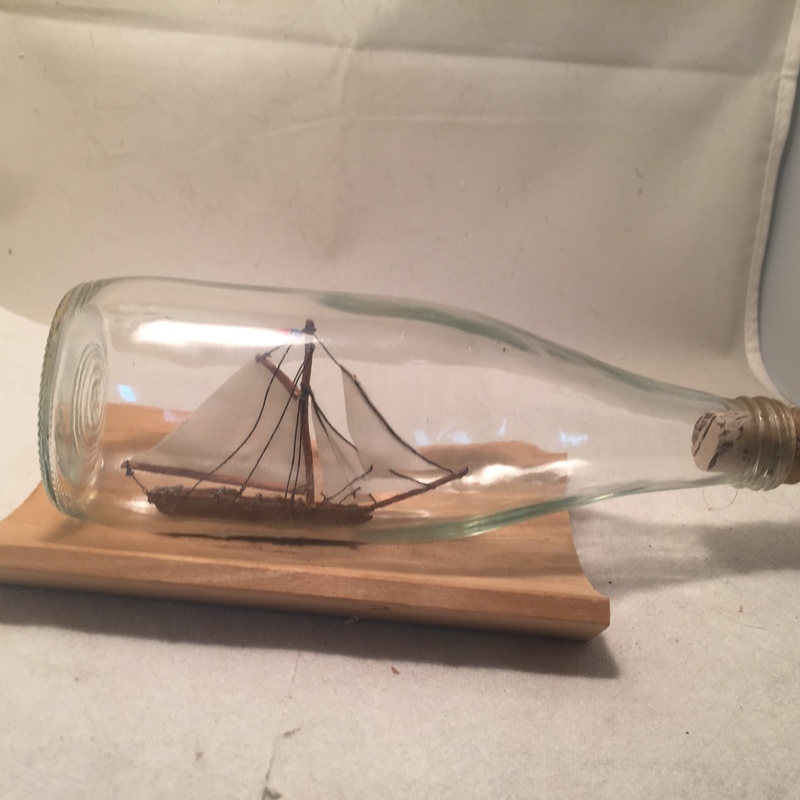 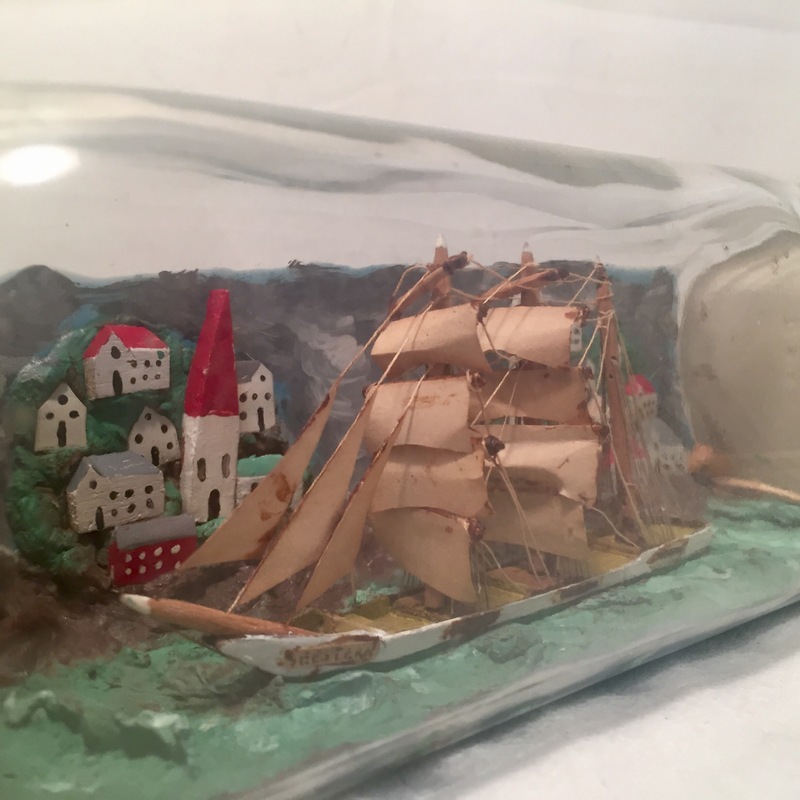 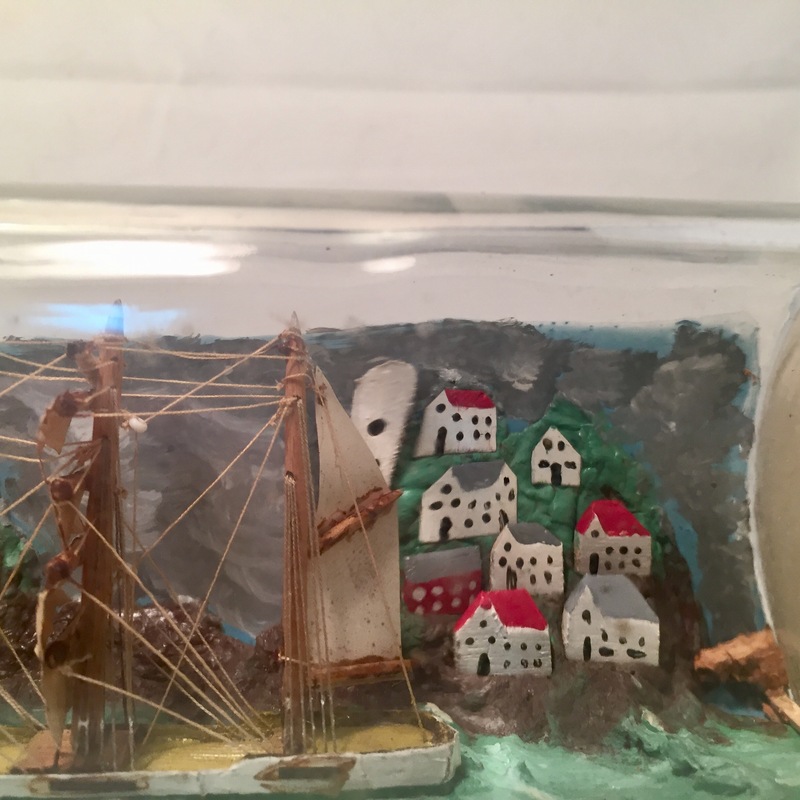 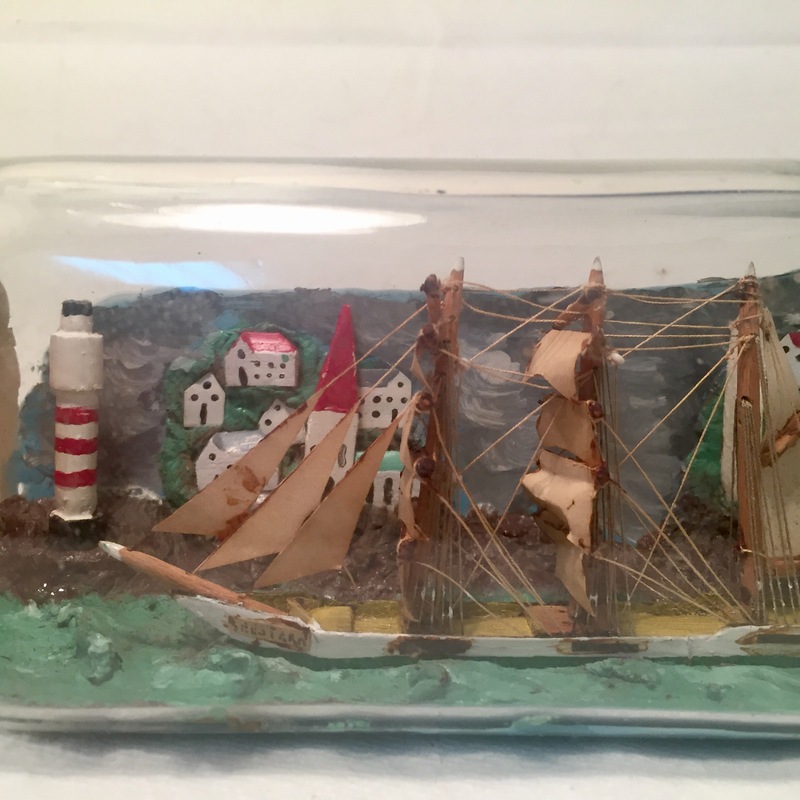 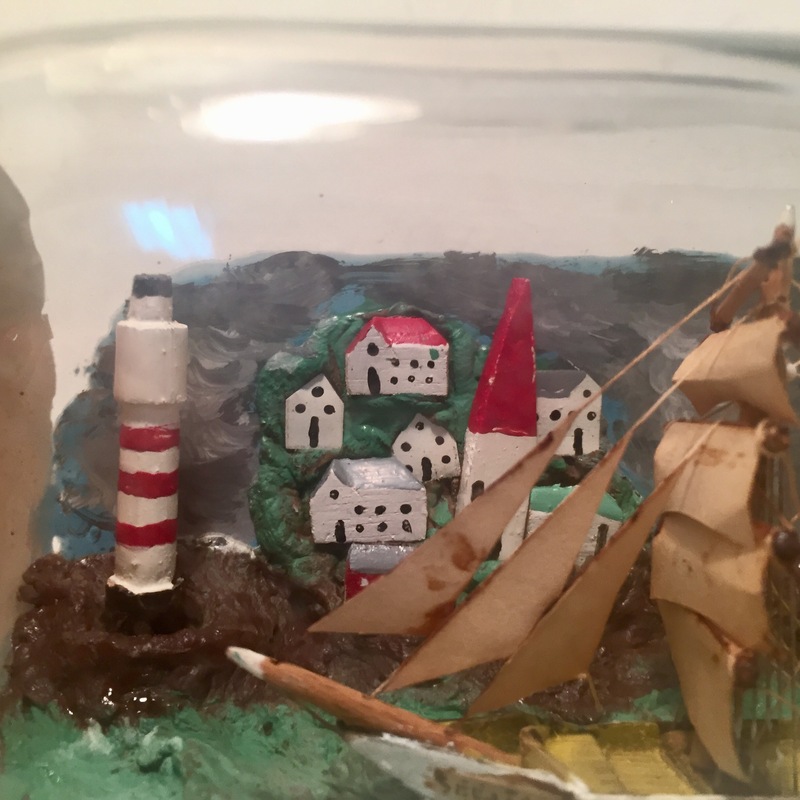 3 dimensional houses, both painted and glued on scenic background, 16-17 houses/churches, towers and light house with a fully rigged ship at sea passing village. 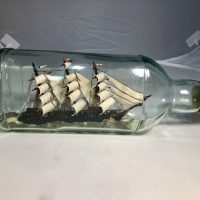 This is a advanced build and Enjoyable to view. 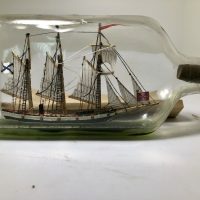 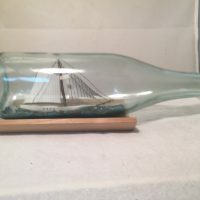 The ship is marked SEastern on the bow and has great patina on the sails and ship.